Over the last few years, the NBA has developed a clear hierarchy — and it’s badly hurting the league’s appeal. Heading into the 2016-17 regular season, the Cleveland Cavaliers and Golden State Warriors were the two teams everybody expected in the NBA Finals. The Cavaliers were the reigning champions and still had LeBron James while the Warriors — who lost to the Cavaliers in seven games — returned with MVP Stephen Curry and added forward Kevin Durant from the Oklahoma City Thunder. 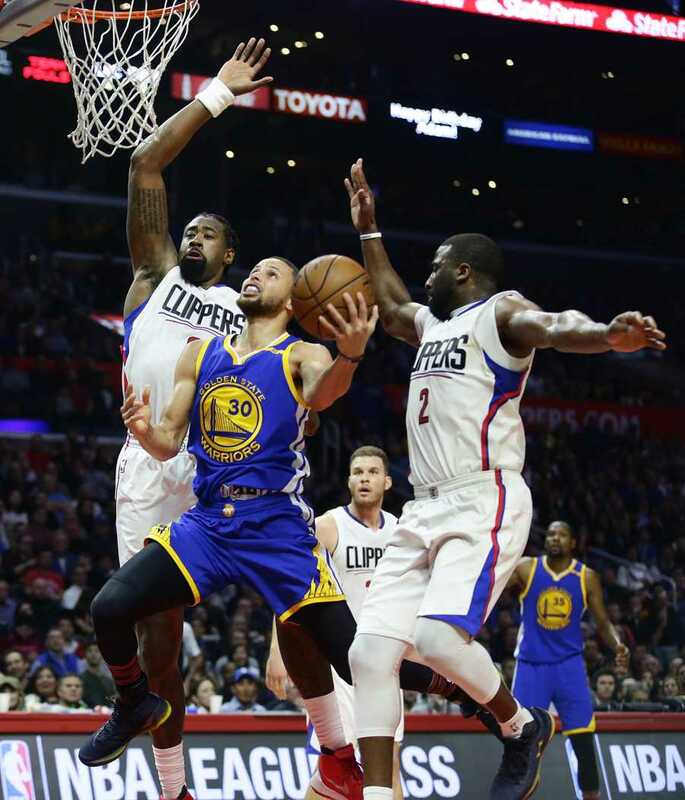 The regular season proceeded as most expected it to, with the Warriors winning the Western Conference for the third consecutive season. There was a slight shake-up in the East, as the Boston Celtics nabbed the No. 1 seed down the stretch. Even so, this year’s playoffs have been perhaps one of the most uninteresting in any sport in recent memory. The Cavaliers and Warriors each cruised through the first two rounds with comfortable sweeps and are poised to return to the finals for the third year in a row. It’s a period not seen in the league since the 1960s, when the Celtics and Los Angeles Lakers met in the championship round in six of eight years. But the NBA was a lot different back then — it had yet to introduce the 3-point shot — and the culture of the sport has changed drastically. So what’s led to this lack of competition? How did a sport which rewards the lesser teams with a higher draft pick get so uneven? While there’s no clear answer, there are a few possibilities. One of the more likely ones is the one-and-done phenomenon at the college level. The NBA mandates that athletes must be one year removed from high school before declaring for the draft, and every season, many of the NCAA’s best freshman leave hoping to be drafted and signed to a large contract. It may work out great for the athletes financially, but many fail to live up to expectations because they simply aren’t ready to make the jump to the next level. Prior to the 2014 NBA Draft, Sports Illustrated published an article detailing the level of success attained by one-and-done athletes. They categorized them into four groups — stars, rotation players, bit contributors and flops, in order of decreasing production. What they concluded was striking. After analyzing every such player since the 2006 draft, only 24 percent — in their opinion — were qualified as stars while a combined 39 percent were either flops or bit contributors. Most of the athletes became average rotation players despite being thought of as some of the NCAA’s best. With more student-athletes opting to take this path each year, the overall quality of play has dropped in the NBA. If these players stayed in college until they were 20 or 21, they would be better products by the time they entered the league, and the level of play across the board would increase. This has led to a situation in which the star players, such as James or Curry, can dominate the league and singlehandedly will their team to victory. If a team has one of these players, they’ll almost certainly win no matter who they have around them. It’s no longer a team sport, but one with a few great players and a large supporting cast. This fact has been front and center this spring, with James and Curry leading their teams to a combined 23-1 record thus far. The Warriors have only played one game closer than 10 points while the Cavaliers were unchallenged until their 111-108 loss to the Celtics this past Sunday. While it’s understandable if the top teams cruise past their first round opponents, winning the conference finals in dominating fashion is extremely unexpected — at least, until this year. Prior to the conference championships, 24 of ESPN’s experts unanimously picked the two teams to meet in the NBA Finals. In each matchup, only one of the experts picked the series to go to a winner-take-all seventh game. It’s transpired almost exactly as expected, with the exception of the Warriors series against the San Antonio Spurs being less competitive than most thought going in. Star forward Kawhi Leonard’s injury in game one definitely had something to do with it, but the fact is the Warriors would have won whether or not Leonard was playing. This just made it more decisive. So far, only two of the eight conference finals games have been decided by 10 or fewer points and many of them haven’t been that close. The lopsidedness was highlighted in game two of the Eastern Conference Finals, when the Cavaliers won by a whopping 44 points, 130-86. The halftime spread was even more alarming, as the Celtics trailed by 41 — an NBA record. The game marked the Cavaliers’ 13th playoff win in a row going back to last year’s NBA Finals, against — guess who — the Warriors. So, after this round comes to a close, NBA fans might get their first look at a meaningfully competitive series if the outcomes hold. Currently, the Cavaliers hold an 3-1 series lead and look poised to return to the finals as well. But then again, maybe not. Statistics website FiveThirtyEight gives the Warriors more than a 90 percent chance to win the title as of Tuesday night. Either way, it will generate some buzz as the rubber match between the league’s premier squads. The Warriors won the title in 2015 before the Cavaliers came back down three games to one to steal the 2016 Championship — Cleveland’s first major sports championship in 52 years. But as a whole, the NBA has become an uninteresting product which is so predictable it’s not even worth watching. It hurts the league’s reputation, and more importantly, it hurts the sport’s followers. Why root for a team you know has no legitimate chance at winning? What’s the point in following along just to end the year with a loss? There is none — and the NBA needs to figure out a way to make the playing field more even before the sport starts to lose popularity.